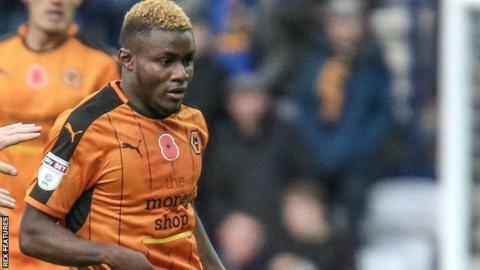 Nigeria-born Enobakhare initially was a regular in the Wolves' starting line-up, but the form of Leo Bonatini, Diogo Jota and Ivan Cavaleiro, who have hit 30 league goals between them, has restricted him to a back-up role from the bench. Wolves put in strong performances against the likes of Manchester City and Swansea City before bowing out of the League Cup and FA Cup respectively, and Enobakhare is taking nothing for granted with the club still far off from guaranteeing automatic promotion, he added: "We are not there yet. We should not be heads up. We have to keep going to the end. We're only going to be happy when we have the trophy." Nuno's side take on Sheffield United, Queens Park Rangers, and Norwich City at home during the month of February, and the manager is likely to fancy picking points against all of those clubs with none in the best of form of late. Wolves have already showcased their spending power this term, and it will be interesting to see how they handle the summer transfer window, should they make their much-anticipated return to the top-flight.